American Painting and Maintenance, Inc. Comment: 2 Bathrooms, kitchen and some touch ups. Comment: Repaint laundry room, hallway and kitchen walls and ceilings after a small flood. Also paint baseboard and three doors to match baseboard. Have already purchased high quality paint. I live here and will be present during painting. Comment: Need bedroom painted...will need to move small items of furniture, and climb up to a little alcove (10 feet up?) ... will probably only be a day of work (maybe two, depending on prep). Comment: We need the baseboards to be caulked and painted, and the walls and ceilings painted in almost every room in our 2200 square foot house. We are not including the garage and the closets at this time, but there are 3 bedrooms, 3 bathrooms, a kitchen, living room, stairs, and hallways. Mountain View Painting Contractors are rated 4.62 out of 5 based on 242 reviews of 16 pros. 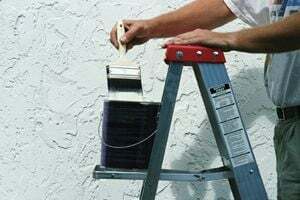 Not Looking for Painting Contractors in Mountain View, CA?